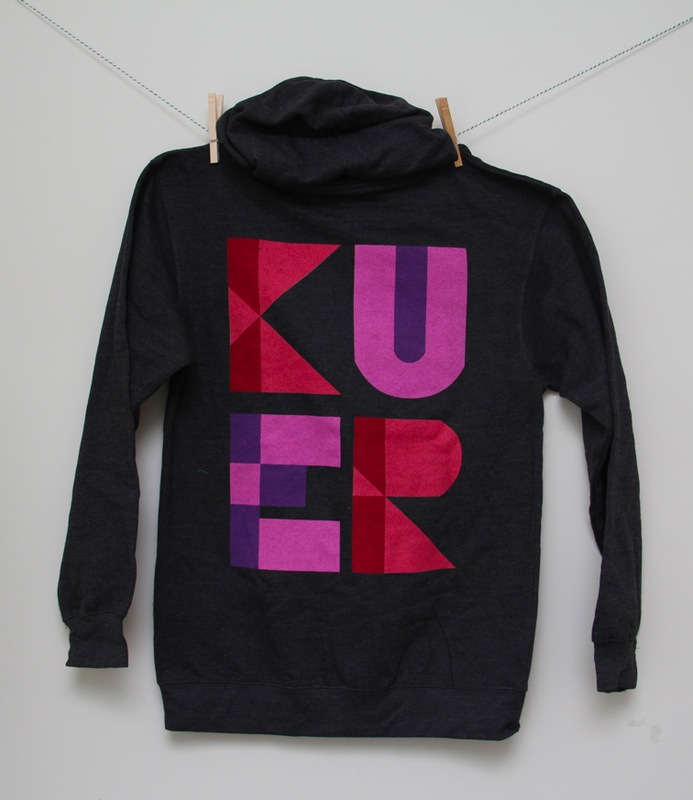 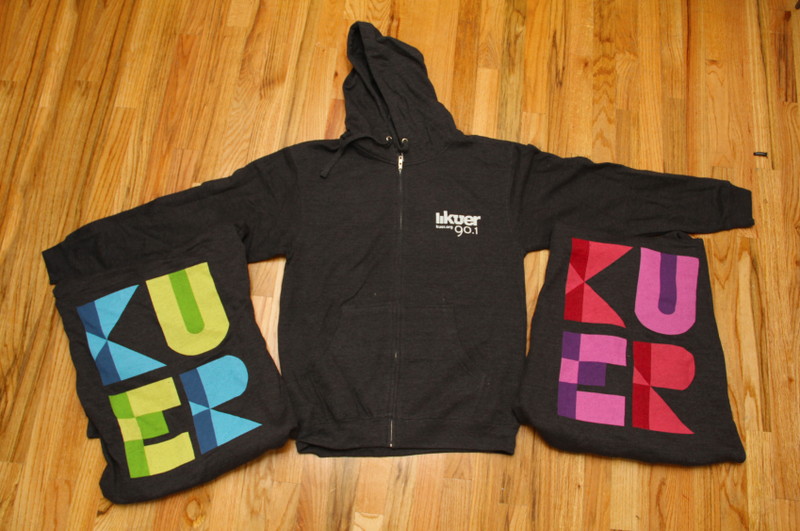 I'm so excited because I received the KUER hoodies I designed in the mail this week! They turned out so nice and I can't wait to wear them while I work. 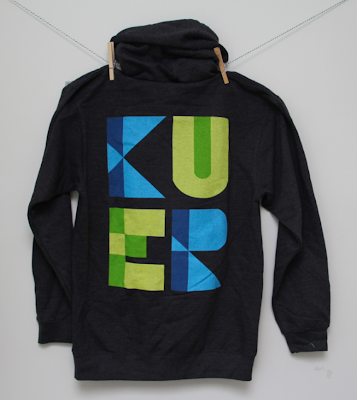 You can read about the design and contest in this blog post. 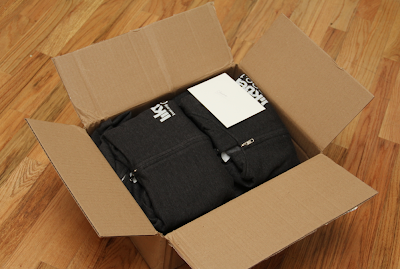 It's so gratifying to see my design work become a physical product. 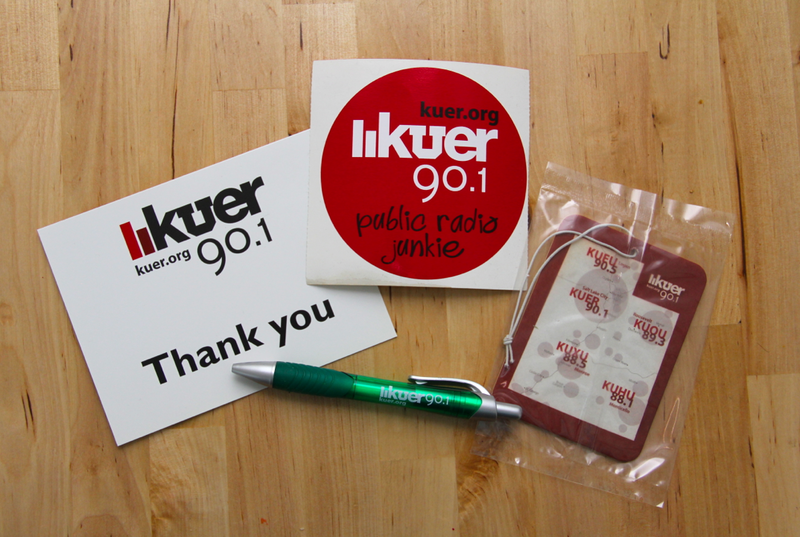 They also sent me a nice thank you note and other KUER goodies!